I don’t know about you, but so far my new year has been off to a busy start! I have jumped right back into school, work, and those New Years resolutions that I shared in my last blog; So far so good! How are you all doing with your new years resolutions/goals? I hope your adherence is strong so far! Since kicking off the year 2018, I have been spending more time focusing on self-improvement. It is easy for the hectic lifestyle to take precedence over our self-care regimes. For today’s blog I decided to focus on an activity that was new to me that has been making a big difference in my daily self-care routine! New opportunities can be stressful! I am happy to announce that I have begun my honours project this year! Although I am beyond excited to be starting this chapter, this opportunity is also slightly stress educing for me. I walked into my first class, filled with excitement and nerves not knowing what to expect. The stories that I have heard from others, is that it is a great opportunity but incredibly stressful. I am not going to lie, ‘not knowing’ is stressful, and scary to me. I like knowing what to expect- I like being prepared. So, like many of us approaching something new head on, I was a nervous mess before class. It’s the little things that can change everything! I walked into class having no idea what to expect. I took my seat and waited for the teacher to dive into content, as this is an intensive class. However, this isn’t what happened. Instead, our teacher started class with a mindful meditation- something she begins all of her classes with. This class is in the middle of my busiest day of the week and I could not be more grateful for this professor and her value for meditation. I have to confess, despite the number of times people have suggested I try meditation, I never actually tried it. Now, I can’t believe I deprived myself from it. After starting class with meditation, I was free of anxiousness, I was focused, and I was able to stay attentive for the entire class without distraction. I could not believe the difference this 3-5 minutes exercise made, not only immediately afterwards, but for the entire duration of my day. I look forward to this part of my day, everyday. I wanted to be able to meditate more than just in class. My Aunt suggested this app called Headspace. I have been hooked ever since I downloaded it! This user-friendly app allows you to pick a meditation session that is aligned with your needs/interests. This app allows you to control the length of the meditation session so you always have time for meditation, whether it be one minute-10 minutes. This app teaches you all the basics to meditation and provides fun animations to guide you through all the tips and tricks. The app has many features, one being reminders so you can keep up your meditation streak! I find this app accessible and appealing to many people of all ages. If you are new to meditation like me, I would suggest downloading the app as a good start! I am still exploring and getting familiar with the app, so if any of you have a favourite session/series please let me know and I will test it out! Since starting meditation, I find that I am more connected with the things around me. Even more so, I am connected with my thoughts and myself. I find that meditation allows me to be present- something that doesn’t come natural to me. I tend to be a worrier, so I am always focusing on what is next to come, rather than enjoying the moment. Since I have started meditation, I cannot believe the difference in my ability to become more present. I love the quiet time. Since I have integrated this into my routine, I cannot believe how much I value silence. With technology, work, school, and all the other sensory overloads I experience in a day, silence is calming. Taking 1-10 minutes out of my day to enjoy the quiet and focus on my breathing really makes a difference. I find that meditation is also a great remedy to relieve my headaches. Since starting meditation, I have started to judge myself less. I am aware of my thoughts, accept them, and move on. I find being comfortable with myself in silence is something I have always struggled with, but is now something I actually look forward to. At first, I thought meditation wasn’t for me. I tried it once and was hooked. If you are willing- try it. If you can’t do it on your own- try downloading an app to help. If you have access to a computer, there are a lot of video tutorials on YouTube that can walk you through a session. Check out your campus or local community centers! Many places in communities offer meditation sessions and classes. 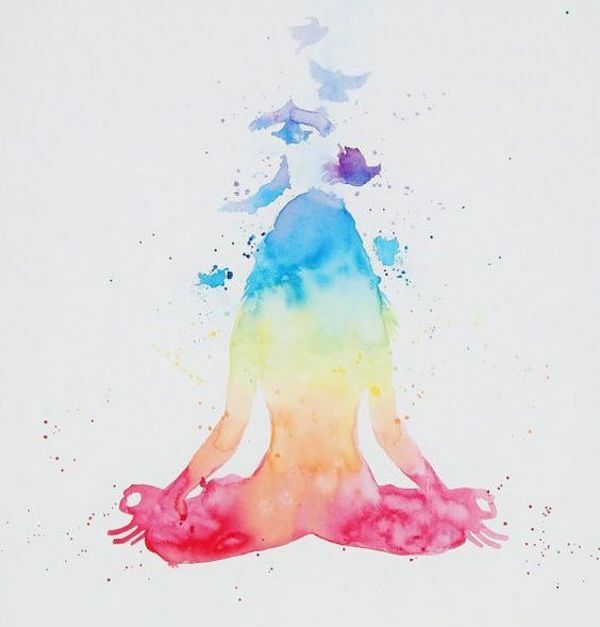 If you are already an avid meditator, what is your favourite meditation session? If it is online feel free to comment the link and I will test it out! It’s important to take the time to focus on ourselves- I believe it’s crucial. This week I challenge you all to give meditation a try! Carve out 1-5 minutes this week to try it out. Let me know what you think! Remember to stay kind to yourself.